I live in military housing. That means that every one of my neighbors live in the exact same house plan, we can't paint our walls, we can't remodel, we can't change the landscaping....we have to live in uniformity. So I decided I needed a LITTLE individuality, even in just the simplest way. We chose to do that by covering our light switch plates. I got the idea here. The best part is that we can get brand new plates for free from our housing maintenance, so this project only cost me a few dollars total for the scrapbook paper and mod podge. And I covered twelve different plates! Perfect! 1. 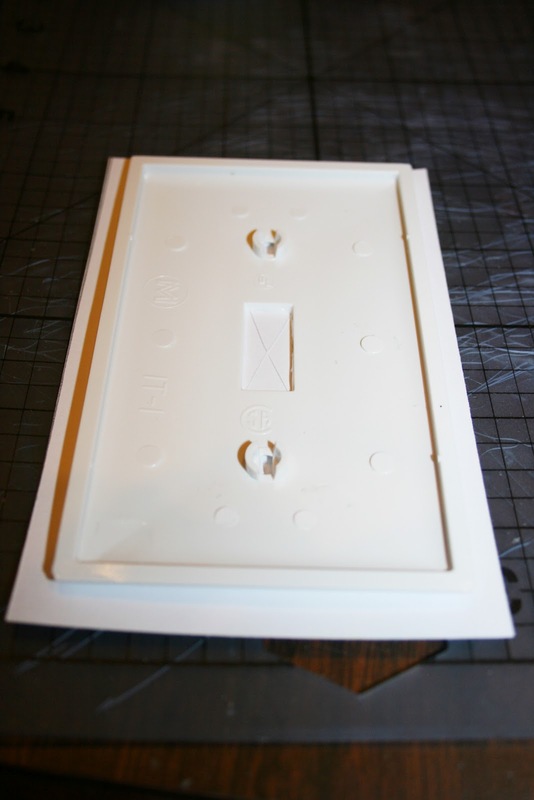 Trace the size of the light switch plate on the back side of the scrapbook paper, making sure to leave extra room on all four sides for the raised edges. 2. Cut out the paper. I used a box cutter on my cutting mat, but you could easily just use scissors. 3. 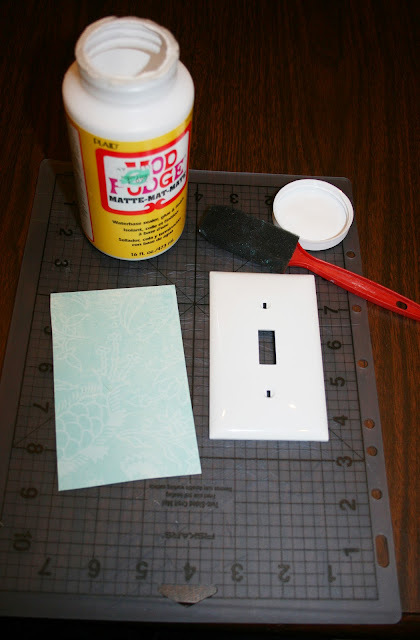 Mod podge the paper to the front of the light switch plate. Let dry. 5. Cut an "X" in the switch hole and cut a little mark in each of the screw holes. 6. Mod podge the paper to the sides of the plate. Let dry. 7. Mod podge the flaps from the "X" to the underside of the plate. 8. 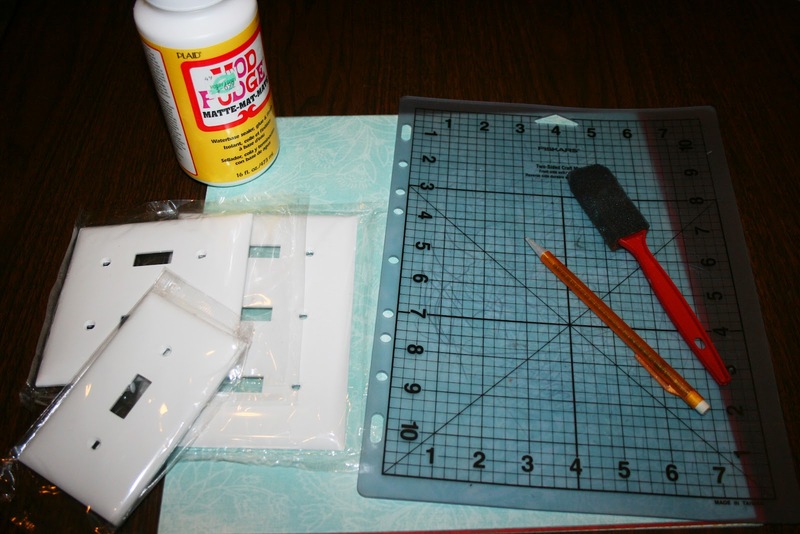 Cut off the excess paper around the edges of the plate. 9. 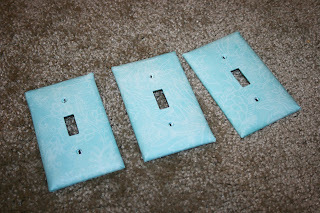 Poke the screw holes out so you know where to screw the plates into the wall. I used the back of a pen to make these indentations. 10. 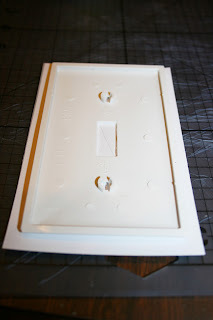 Put another coat (or 2 or 3) of mod podge on top, to seal it and make it easier to clean off, if they get dirty. 11. 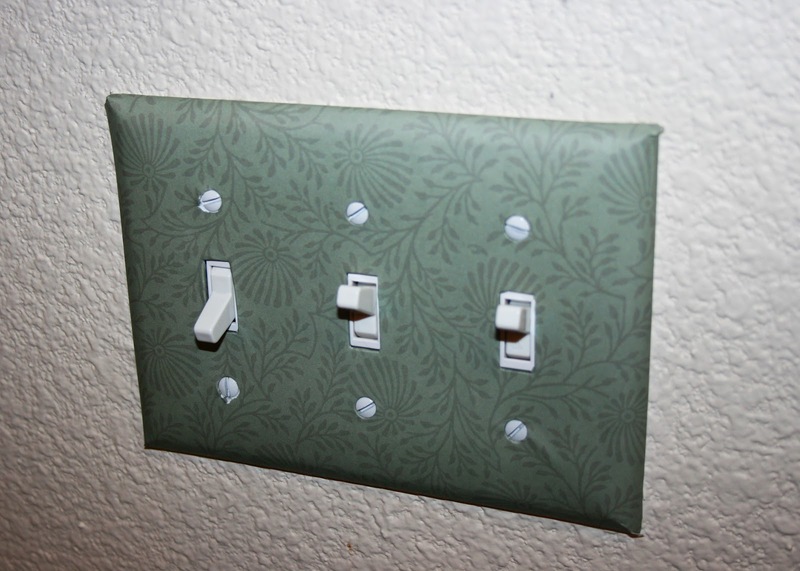 Screw the newly decorated light switch plates onto the wall.